This pizza is a refreshing change from your standard tomato sauce and pepperoni pie. If you are a seafood lover, give this a try – it is rich and fresh all at once; and the squeeze of lemon at the end is a must! 1 ball of good quality pizza dough. I used my hockey bread dough recipe. 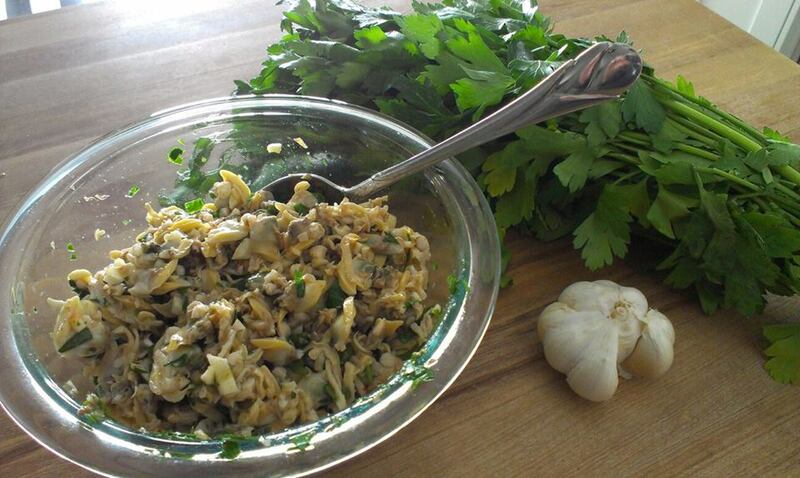 Combine the clams, garlic, parsley, 2tbsp olive oil and paprika in a bowl and mix well. Marinate in the fridge for at 2-3 hours. Preheat oven to 400 degrees once clams have finished marintating. Cover a large cookie sheet with parchment paper (you can also use a pizza stone and omit the parchment). Roll dough into circle or rectangle large enough to cover your baking pan and brush with remaining tablespoon of olive oil. 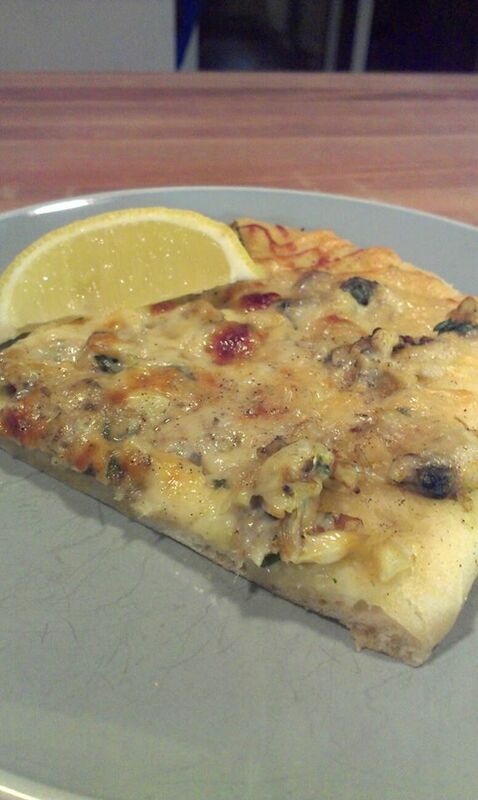 Spread clam mixture evenly across dough and top with cheeses and pepper. Bake for 10-12 minutes or until crust is crisp on the bottom and top is bubbling and golden. Dress each slice with a squeeze of fresh lemon juice and a sprinkle of sea salt before serving. Delish!